Are there unanswered questions in your divorce case? Like, "Where did all of that money go?" "Is he having an affair, and did he spend our savings on his girlfriend?" "Does she own property that I do not know about but that I am entitled to share in?" "Does he have certain problems that make it unreasonable for him to have our child on an overnight basis presently?" Do these questions need to be answered before you can settle your case? Or, if settlement is not possible, go to trial? Perhaps your divorce lawyer should consider "taking depositions." A deposition in a divorce case is an opportunity that I have as a Monmouth County divorce attorney to send out a subpoena that requires the recipient of the subpoena to appear at my law office. The recipient is required to appear on a date and time that I select. I must give at least 10 days of advanced notice. 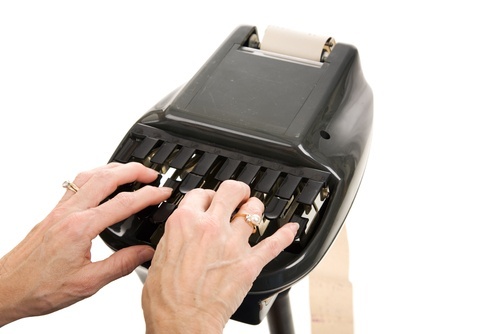 Prior to the date of the deposition, I will hire a court reporter. The court reporter will sit in the conference room with me, with you (if you would like to be there), with the person who I subpoena (called "the deponent"), with the lawyer for your spouse, with your spouse (if your spouse would like to be there), and sometimes with a lawyer representing the person I have subpoenaed, if that person is someone other than your spouse. Once I have the deposition set up and I send out the subpoena to the deponent, that person has no choice but to appear. The deponent must come to my office and must bring whatever documents or other evidence that I have listed in the subpoena that I would like to see. Now, if he or she is sick that day or is scheduled to attend some other event we will certainly reschedule. We will always be considerate. The point is that I can require anybody who is physically present in New Jersey who might have any evidence that might be relevant to my representation of you, to come to my office and bring whatever documents I want them to bring (if they have those documents), and to sit down and answer my questions under oath. Once at my office, the court reporter will first swear the deponent in and ask her to swear to tell the truth, letting her know that if she doe not tell the truth that she is subject to punishment by your Family Court judge. For my part, I will be highly prepared with a long list of questions that I have readied in advance. Presumably, the deponent has also brought with her any documents that are within her possession or under her control that I have demanded to see in my subpoena. Now, if the deponent tells the truth, we might go in one direction. If the deponent does not tell the truth, then we might go in another direction. For example, when we get to trial (if we can’t settle this case), I can now take out the booklet that the court reporter typed up for me of all my questions and all the deponent's answers. In a trial I might ask the deponent a question, and if the deponent gives me an answer that was different than the answer that she gave me at the deposition, I might pull out the booklet and say "Well, that’s interesting. I just asked you a question today. You answered "no," but when I asked you the exact same question back on March 15, 2017 at my office in a deposition, you answered "yes." "Let me ask you a question, Doctor: were you lying then, or are you lying now?" By asking these series of questions and getting the answers we can hope to achieve several different things. One is we can show the judge that this witness is not telling the truth because if I asked the same question in a deposition and at trial, and if we get different answers, then clearly the deponent was either lying at the deposition or she was lying at trial. That can be helpful in attacking a witness’s credibility before a judge, which helps us prove your case and makes it harder for your spouse to disprove the fact that we are trying to prove. Second, the deposition can be used simply as a "fishing expedition," meaning it gives me the opportunity to ask questions that you and I really don’t know the answers to, hoping that maybe we will get useful information (and maybe we won’t, but it gives us the opportunity to dig around and see what else is out there). So, for example, one of the things that I can do with the various potential witnesses in a case is to subpoena them to my office and require them to bring in any and all communications, records, documents -- basically any writings of any kind involving your spouse. If they have anything, they are under a legal obligation to bring it to my office. If they do not do so, and we find out that they had records later on that they didn’t bring to the deposition as required, they can be punished by the judge. The risk of penalty is often the encouragement that deponents need to tell the truth and bring whatever documents are requested. On the other hand, if they do not have any records, or if there are no records, then of course there is nothing for them to bring to the deposition. So if there are unanswered questions in your NJ divorce case involving financial issues, issues of importance involving your children, or other relevant issues, your divorce attorney is empowered with subpoena power to bring potential witnesses in to a deposition to look at evidence, ask questions, and try to figure out answers to those questions that can then be used to either successfully settle or try your divorce case.